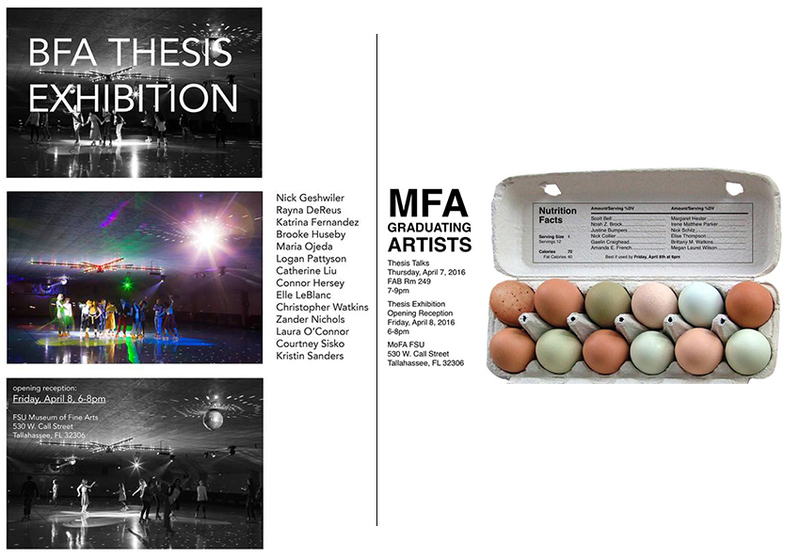 Please join the College of Fine Arts and the Department of Art on Friday, April 8th, 2016 from 6:00-8:00pm for the opening reception of the “Spring Graduating Artist Exhibition.” 26 graduating BFA and MFA students will showcase their work in this exhibition, which will run from April 8th, 2016 through April 28th, 2016 at the Museum of Fine Arts. Don’t miss the diverse wealth of talent from the newest graduates of Florida State University. The MoFA is open Mon-Fri 9:00am-4:00pm, and Sat & Sun 1:00-4:00pm.